Club Nintendo members can soon get their chance to par take in the Super Mario Bros. 25th anniversary festivities, with a fantastic selection of commemorative Mario pins. Ain’t no party like a Nintendo anniversary party, cause a Nintendo anniversary party don’t stop! – Ahem, sorry for that, but you have to admit, when Nintendo celebrates an anniversary of any kind, they tend to go all out. This is particularly evident when it comes to their beloved series – The Legend of Zelda to Donkey Kong – and even their past hardware – Nintendo Entertainment System to Game Boy. From special limited edition consoles (see 25th Anniversary Super Mario Bros. Wii and DSi) to collectable trinkets big and small, Nintendo doesn’t pass up a chance to give their fans a chance to grab a piece of memorable nostalgia. 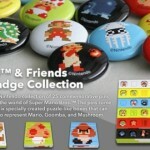 Up for grabs this time is collection of Mario pins that scream sheer awesome. 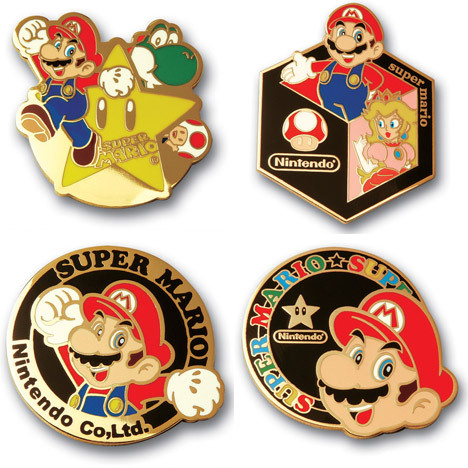 The four copper pins were made to celebrate the 25th anniversary of Mario’s first adventure through the Mushroom Kingdom to save Princess Toadstool from that lizard-breath baddie King Koopa. 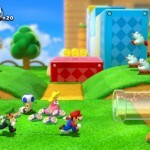 They all feature that famous red cap wearing plumber, but each one differs in design and cameos from other noticeable Nintendo co-stars (Princess Toadstool, Toad, and Yoshi) of the iconic platform series. 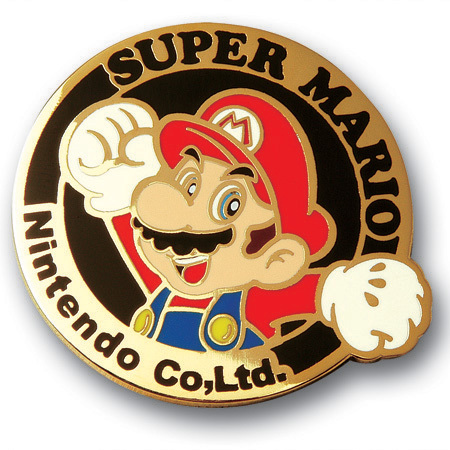 The catch is that the Mario pins are an exclusive item to only members of Club Nintendo – an easy hurdle to jump over for sure, seeing as joining Club Nintendo is free, but the second one will probably stop you dead in your tracks. The Mario pins are 450 Club Nintendo coins each (yeah, they don’t come as a set.) 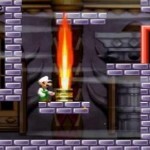 In total they cost 1800 gold coins to collect all four. 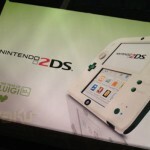 Just in case you forgot about what else Nintendo has in store for the 25th Anniversary of Super Mario Bros., then take a warp pipe to this special edition Nintendo Wii console, or this special edition Nintendo DSi. Have fun, and be careful for the goombas!